Are you ready to redecorate your Ottawa apartment this spring? It’s only natural to want to give your space a fresh, new look so that it’s more comfortable and equipped for the warmer temperatures. If you’re not sure where to begin to make your apartment warm-weather friendly, here are some of our favourite decorating tips to try. What do you think of when you think about spring? Is it budding flowers and fresh smelling plants? 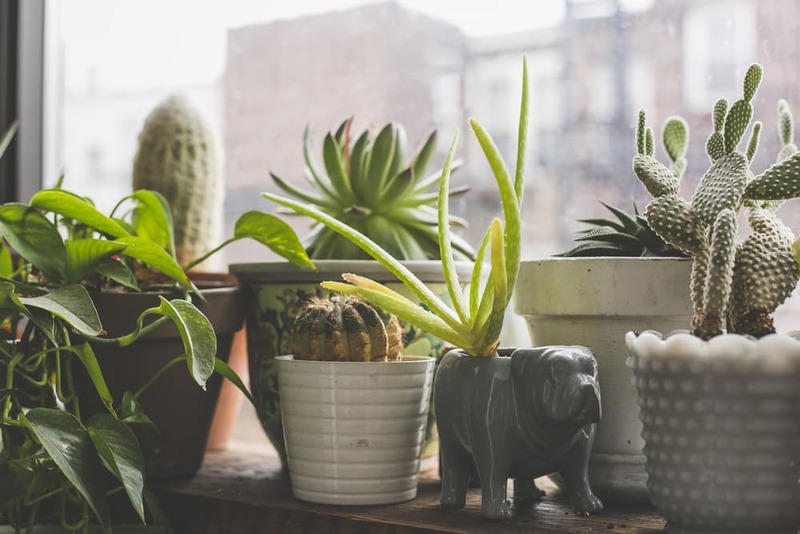 Everyone knows that flowers can give any apartment that certain warm-weather feel, so why not put a few plants around your home? They’ll add a touch of colour and also help to keep your apartment nice and cool. Aloe Vera, Areca palm trees, and ferns can help filter your indoor air, keep temperatures lower inside your apartment – plus, they look great too! Winter is all about hiding inside away from the snow and cold weather. But spring is all about opening up the windows to let the fresh breeze and sunshine in. To get the most out of those warm, airy days be sure to swap out those blackout blinds and bring out the sheers. They’ll let in the sunlight and allow for ample airflow without sacrificing your privacy. Say “goodbye” to your heavy comforter and thick blankets and “hello” to a feather-light duvet and silk sheets. A change in bedding will not only brighten up your room but also make it more comfortable for sleeping as soon as it starts to warm up. If you’re planning to purchase new pillowcases or décor pieces for your warm weather project, make sure to choose bright colours. Think bold, popping colours like pink, yellow, and orange hues. Integrating bold colours into your living space can quickly liven up an area and make it more welcoming for guests. Redecorating your Ottawa apartment for warmer weather can be an exciting activity to get you in the spring mood. But if you’re dreading doing any work on your apartment, it might be a sign that it’s time to move. If you’re looking for a new apartment to call home, we can help. At CLV Group, we have an impressive variety of apartments in the area for a wide range of tastes and budgets. Contact us today to take a look at our available inventory!